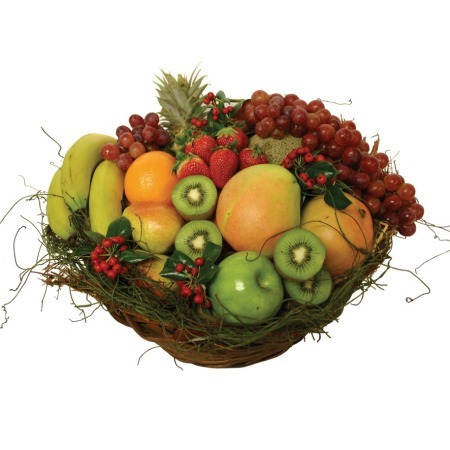 In addition to ordering flowers online, our florists can deliver fresh fruit baskets decorated with pretty Christmas trimmings to celebrate the season. Christmas fruit baskets brimming with summery tropical fruit are superb for sharing amongst colleagues or as a colourful and edible treat on a kitchen bench over the holiday period. Fabulous as a stand-alone gift, or to accompany a fresh bouquet of flowers, sweet little posy, sparkling wine and chocolates.